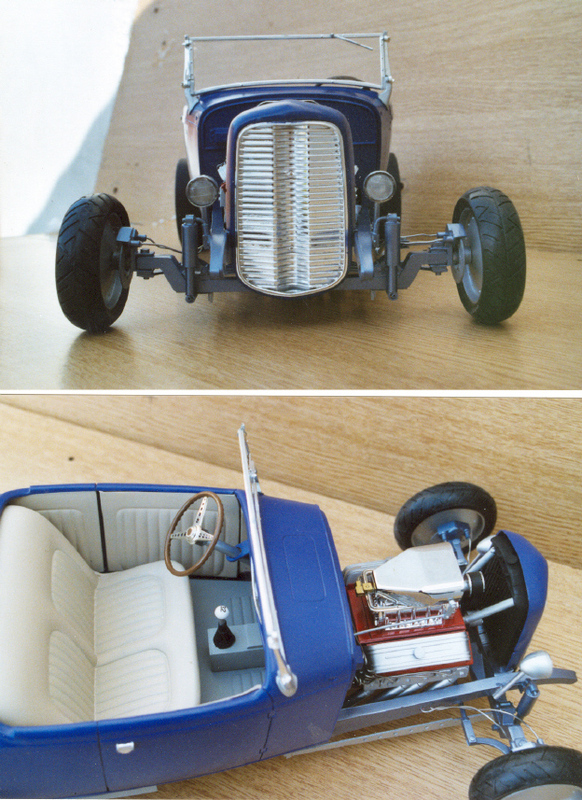 When I first started making models, many years ago I built mostly American cars and hot rods. 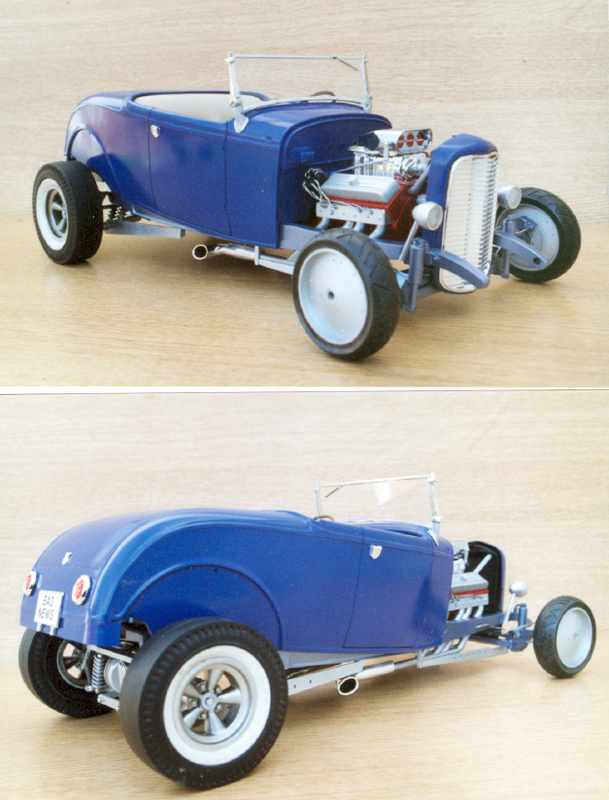 This kit was the recent re-release of the 1932 Ford Deuce Hot Rod from Revell ( formerly by Monogram ) After building the chassis out of the box I added an E-Type rear axle and made a new front axle from card and strip. The rear wheels were from the spares box and are original 60s Big Drag. The fronts are two rear wheels from two Revell Red Killer cycle kits. A new engine block was made from card and topped off with a supercharger from a toy, the body and grill were left fairly standard but and then painted with car aerosol purple.